Boda-bodas for the past 2 months have become my preferred mode of transportation. What drives this new found love? Could it be the wind blowing through my hair? Or inhaling bursts of black exhaust from the massive volume of non-inspected vehicles surrounding us on the road? Perhaps it is because it is not necessary to referee a backseat argument? Or maybe it is because it is a fraction of the cost compared to other travel? No matter the reason or many reasons combined…I enjoy traveling by boda. The irony? After the first month of living in Uganda I would have likely vowed to NEVER ride a boda-boda or allow anyone I love to be transported by one either!?! (I told a story of boda-bodas here and you can easily pick up the morbid undertones.) Much has changed over the past few months! Ugandan law even changed last month: You can now only ride with ONE passenger on a boda not 2 or 3 that were so common just 30 days earlier. But more importantly we changed. Our circumstances changed. Our financial picture changed. Our understanding of the culture and how this type of transport operated also changed. A few short months earlier I saw death traps whizzing down the road. (Don’t get me wrong there are certainly some crazy and dangerous drivers out there–but I was generalizing and lumping all boda incidents in to one big box of dangerous and crazy.) Now I look forward to calling “Boda John” to come and pick me up. I enjoy listening to stories about his 7 year old son and his commitment to Watoto church while cruising down the road through clouds of dust as we fly past thick traffic congestion. We hold strong opinions of so many things in this life. We make vows. I will never do this. I could certainly not do that. I spent much of my 20s scrutinizing others. I concluded that my lips would never touch this food or that beverage. I made mental notes of how I would never parent. I watched screaming toddlers tantrum, rolled my eyes and secretly swore my children would never act in that way. I claimed I would never treat a friend in this way or make a tough call like that. I would have discussions with girlfriends over dinner about how my marriage would never endure this, and our budget would never experience that debt. I now have bellied up to more plates of crow than I ever anticipated consuming! It is natural…we have some sort of value or belief system that has guided us throughout life. It has kept us sane, safe, and stable. Therefore to entertain a new idea or belief disrupts our flow, we naturally desire to reject it. In so doing, we often place seals of approval or blatant judgements upon the experiences (and people) that cross our world. She is a “good” mom because she exhibits these qualities. He is a “bad” husband if he does x, y, and z. They are good friends because they always call. Alcohol is of the devil. You get the idea. If this isn’t trouble enough, we attach a vow to the things we observe and believe. This vow causes us to dig deep trenches around our convictions. When pressed it will give us a sense of either deep guilt, or forces a belief that should be more flexible to become law. Our world gives opportunity after opportunity to judge, vow, and live a rigid life full of uncompromising convictions. So we now have a choice to either stick to our original conviction or become more mallable in this lifetime. There are absolutes and self preservation happens when we adhere to those laws. But I am finding over and over again there are so many shades of gray in this world. Our circumstances change. We change. We meet and fall in love with a person from the band. We get married, have children and realize it was nothing like we originally anticipated. It’s tough: so pacifiers, breast-feeding and style of discipline are not things we need to have a throw-down defending…we just need to do what we need to do. We learn that friendships come and go and are sometimes for a season. 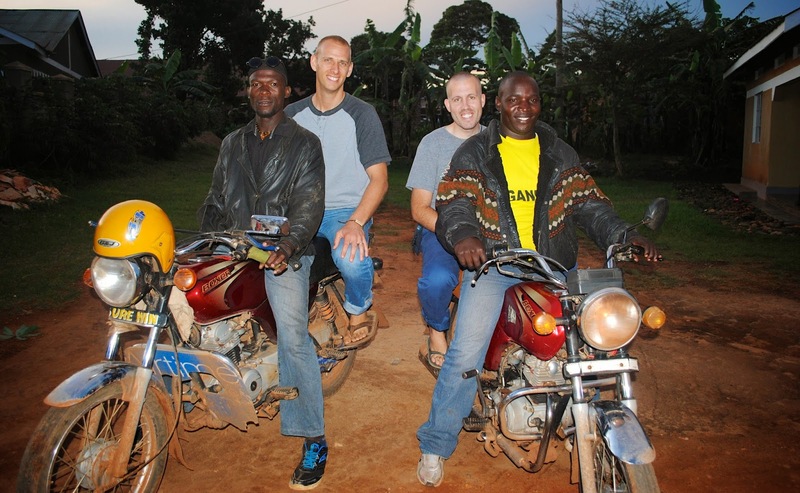 We meet others who have ridden bodas and survived. Our flexibility and ability to bend are key. Keeping an open mind to new things and an ability to change will bring so much more joy to life. My boda rides have been a reminder of something very important: If possible we need to dismiss snap judgements or even strongly held convictions long enough to see that life is meant to be lived in the gray not the black and the white. Hi Jenni! My name is Heather and I was just wondering if you would be willing to answer my question regarding your blog! If you could email me at Lifesabanquet1(at)gmail(dot)com that would be great!